Port is one of the three types of wine; in this case, fortified. The other two types are table wine and sparkling wine. “Fortified” means that grape spirits have been added at the end of the fermentation process, which does a bunch of things: it increases the alcohol content, stops the fermentation of the base wine, typically increases the wine’s sweetness, and also adds body. Port grapes are picked in September and placed in a special, two-chamber vessel that takes only a couple days to ferment. It is designed so that the gases created by fermentation force the juice into the top chamber, and then the juice releases and pours down onto the cap of skins, extracting maximum color and flavor. This process, a more sophisticated version of the pumpover used for dry red wines, is kind of like an old-fashioned coffee percolator. When the winemaker decides he or she’s got the right stuff, they drain the wine, which is only about 6-8% alcohol at this point, off into casks containing grape spirits, called aguadente. The mixture is generally about one part aguadente for four parts wine, meaning the new mixture is about 20% spirits. Drier Ports are fermented longer, resulting in a higher-alcohol base wine, and less aguadente is added. Some Port producers still crush and ferment in the very old-fashioned way: people stomping barefoot on grapes in lagares, rectangular troughs made of stone, concrete or wood. Taylor Fladgate, for example, and Warre’s, both among the world’s best (Warre’s claims to be the first, established in 1670) still make some of their best Ports this way. But it a dying art, to be sure for a lot of reasons – economics, efficiency, and according to Warre’s, there just aren’t enough people around who are available and willing. Anyway, Ports at this stage are traditionally placed in pipes, which are just casks that hold 550 liters or about 145 gallons. 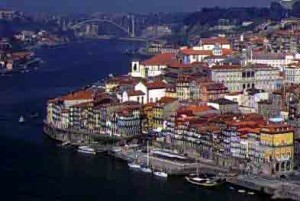 They”re then transported to storage and blending warehouses at a place called Vila Nova de Gaia, where the producers do the final blending and classifying, resulting in wines of about 20% alcohol. Not all, but many still do this. Of course, port-style wine producers outside Portugal do things differently. Few use traditional Port grapes, many preferring instead to traditional noble grapes such as Zinfandel, Petit Verdot, Cabernet Sauvignon and Cab Franc. One winery I know, Virginia’s Veritas Vineyard, uses Tannat grapes native to France’s Madiran region, which are remarkably tannic and produce a dense, chewy wine that sometimes must bottle age for a decade before it’s even drinkable. Others use hardy local varieties such as Chambourcin, Norton and Frontenac, that are rarely used by themselves as varietals. 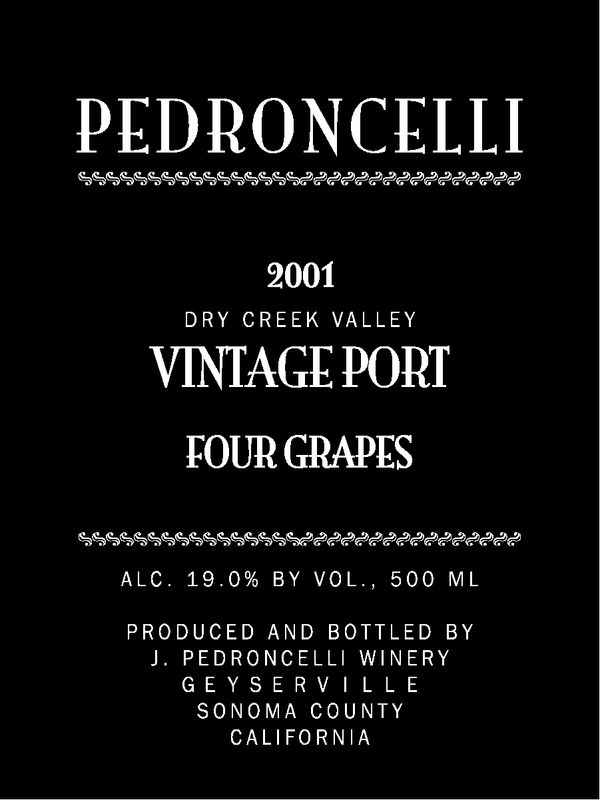 Others do grow traditional Port grapes, such as Sonoma’s Pedroncelli. 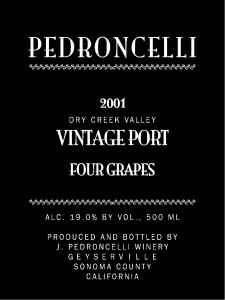 The most basic Port, and generally the cheapest, blended from several harvests. Rubies usually spend a couple to three years in stainless steel or oak, and they tend to keep the Ruby color for which they’re known. If you’re new to Port but want to try it, start out here. Usually starts with an unremarkable Ruby Port which is then aged in wooden barrels. This process causes it to oxidize and also some evaporation, changing the color from Ruby to a light brown and introduces some pronounced nutty flavors. If you want to try Port but really don’t like sweet wine, give Tawny a shot. Late-bottled Vintage means just what it says: it’s from a single year’s harvest, but is aged between four to six years in a barrel before being bottled and released, which tends to mature it more quickly. Only about two percent of Port can be called Vintage. It’s aged in barrels for a couple years only but then in bottle for maybe 10 years before being released for sale. Aging in bottle retains the ruby color and fresh, fruity quality but the long bottle-aging adds character…and price.